The paintings are stimulated by nature, landscapes primitive power, energy and all its connotations of darkness and light. The importance of an improvised and intuitive process opens painting up to a spiritual and uniquely mysterious quality outside of time. Mark Johnston was born in Stockton on Tees in 1974. He studied at Newcastle College of Art 1991, Cumbria College 1992–93 and at Brighton University (BA) from 1993–96. 2016 Recent Paintings, catalogue introduction by Sue Hubbard. Wimbledon Fine Art, London. 2014 Waters Edge, catalogue introduction by Mark Johnston. Hardback haiku by Ringai. Wimbledon Fine Art, London. 2013 New Paintings, Beaux Arts, Bath. 2013 Recent Work, Wimbledon Fine Art, London. 2012 Shifting Elements, Introduction by Andrew Cherniavsky. Ingo Fincke Gallery, London. 2011 Handwriting, DVD by Art Official, Gallerina, Darlington. Hallowed Waters, poem by Tomas Transtromer. Ingo Fincke Gallery, London. 2010 Sacred Place, text by Mark Johnston, poem by Joe Ball. Fairfax Gallery, London. 2009 Ebb & Flow, catalogue text by Julian Freeman. Fairfax Gallery, London. 2008 New paintings, Beaux Arts, Bath. 2007 Sea Paintings, catalogue text by Mark Johnston. Ingo Fincke Gallery, London. Scattered Light / Fragments*, catalogue / hardback* text by Julian Freeman, Mark Johnston and poem by Tomas Transtromer. Fairfax Gallery, London. 2006 Surface, HQ Gallery, Lewes, East Sussex. Concealed and Revealed, catalogue text by Julian Freeman. Ingo Fincke Gallery, London. New Paintings, Catalogue text by Vivienne Edkins. Fairfax Gallery. London. 2005 Finding Traces, catalogue text by Andrew Tidmarsh. Ingo Fincke Gallery, London. Recent works, Gallerina, Darlington. New Paintings, Beaux Arts, Bath. 2004 Selected paintings, catalogue text by Norbert Lynton. Fairfax Gallery, Tunbridge Wells. New Aspects of Drawing, catalogue text by Andrew Cherniavsky. Ingo Fincke Gallery. 2003 New paintings, Beaux Arts, Bath. 2002 Selected Paintings, Fairfax Gallery, Tunbridge Wells. 2001 Elemental Landscapes, catalogue text by Mark Johnston and poem by Federico Garcia Lorca. CCA Galleries, Farnham. 2000 Recent paintings, Maltby Gallery, Winchester. New Paintings, CCA Galleries, London. 2018 Affordable Art Fair New York with Cameron Contemporary Art. 2018 Between Land and Sea at Cameron Contemporary Art. 2018 Festival Show at Cameron Contemporary Art. 2018 Affordable Art Fair Hampstead with Cameron Contemporary Art. 2018 Affordable Art Fair Battersea with Cameron Contemporary Art. 2017 Winter Show at Cameron Contemporary Art. 2017 The Colour of Summer at Cameron Contemporary Art. 2017 Festival at Cameron Contemporary Art. 2016 Winter Show at Cameron Contemporary Art. 2016 Wimbledon Work on Paper at Gallerina. 2016 Festival at Cameron Contemporary Art. 2016 Night Tide at Arusha Gallery, Edinburgh. 2015 Winter at Cameron Contemporary Art. 2015 Recent Paintings, Gallerina, Darlington. 2014 Undercurrents, Arusha Gallery, Edinburgh. 2012 Postcards From A Small Island, Beaux Arts Bath. 2010 Autumn Show, Beaux Arts Bath. 2009 Summer Show, St. Anne¹s Galleries, Lewes, East Sussex. 2008 Summer Show, Glyndebourne, East Sussex. 2007 Recent Paintings, Gallerina, Darlington. Winter Show, HQ Galley, Lewes, East Sussex. 2006 Recent Paintings, Gallerina, Darlington. 2005 Christmas Show, Fairfax Gallery, London. 2004 Landscape Paintings, Quod Gallery, Brighton. Summer Show, Glyndebourne, East Sussex. 2003 Sussex Artists, LCA, Lewes, East Sussex. Summer Show, Quod Gallery, Brighton. 2002 3 Landscape Painters, Gallery One, London. 2001 British Landscapes, Maltby Gallery, Winchester. 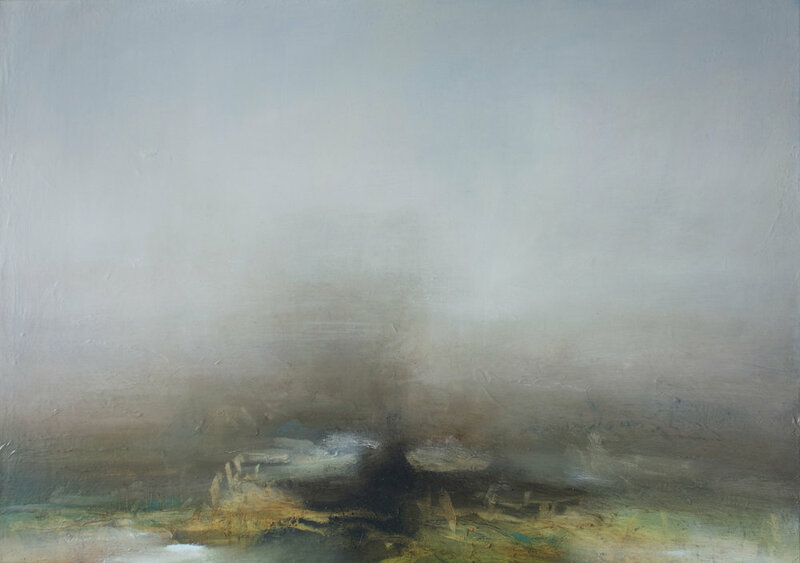 Landscape Show, Belgrave Gallery, St.Ives, Cornwall. 2000 South Downs Landscapes, Hove Museum, Hove. Summer Show, Belgrave Gallery, St.Ives, Cornwall. 1999 Landscape Show, The House of Commons, London.